It is an experienced museum based on the theme of Sorayaka of Toyama Bay. It displays a wide range of folk materials such as historical materials and drug relationships, archaeological materials, fine arts and natural science related materials. Deep seawater is a deep sea water facility that pumps deep water from a depth of 333 meters and provides four kinds of deep sea water by using desalination equipment. 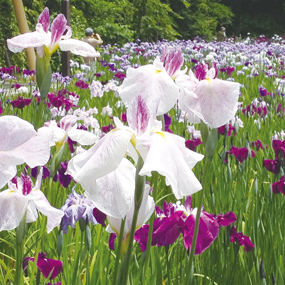 It is a natural park where there are 40,000 kinds of 88 species of flower buds. It is about to be seen from mid June to late. There are playground equipment and sports ground. 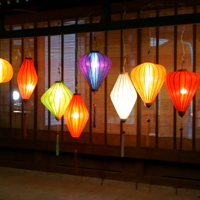 We will color the town with more than 300 lanterns made by Hoi An, a world heritage city in Vietnam. 88 kinds of flower gourd and about 40,000 shares are in full bloom in the middle to late June.